Saltwater Creek LLC, a real estate company that lists New Bern lawyer Kelly Greene as its manager, has put in a bid for $109,000 for long-vacant commercial building on Broad Street. The two-story office building is on a half acre lot at 509 Broad St. The Craven County tax office puts the building’s value at $310,000. The building, constructed in 1950, was once the location for Craven County Council on Aging and more recently the Craven County Probation Office. The building has been vacant for years. At one point there was a plan to turn the building into a business incubator and work was started. But drainage problems in the rear parking area put an end to that project. Saltwater Creek LLC is listed as a real estate business. 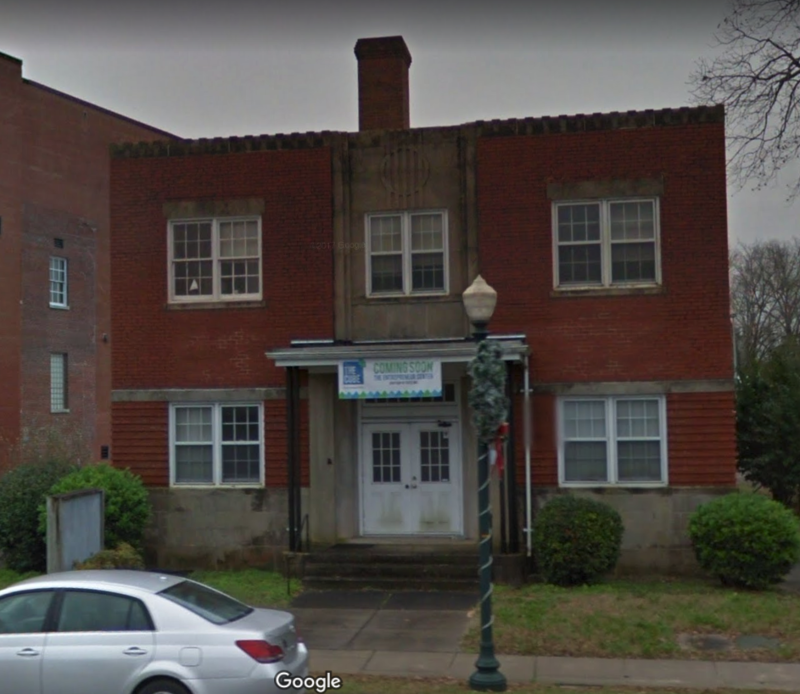 In the limited liability corporation filing, Greene lists the company’s address as 401 Middle St., the same location as the law firm in which he is a partner, GreeneWilson, P.A. GreeneWilson, P.A., is located in the renovated Clark’s Drug Store at the corner of Broad and Middle streets, location of a famous desegregation protest sit-in in 1960. The Craven County Board of Commissioners accepted the offer at its meeting on Tuesday, which will be followed by the property being advertised for upset bids in accordance with General Statutes. If no further upset bids are received, the county may accept or reject the final offer, according to a Board of Commissioners report. 209 Broad St. is located in a C-4 zoning district, which the city of New Bern defines as: The C-4 neighborhood business district is established as a district in which the principal use of land is to provide for the retailing of goods and services to the nearby residential neighborhoods. The regulations of this district are designed to limit the businesses which may be established therein in order to protect the abutting residential areas. Will you be selling ads on this site? Or will you sell subscriptions, or both? It’s been about a month since I launched my local news site, https://www.newbernpost.com, as a hobby and as a personal mission to keep a journalistic watch over local government since that responsibility has been shirked by the local corporate-owned newspaper where I was executive editor until last month. Over the last two weeks of October, my site had 210 visitors, with 741 views for 16 posts. Today, following the first two weeks of November, my November numbers are 1,215 visitors, with 3.593 views for 21 posts. There are things I would like to do, but they are all of the scope that would require me to pay full attention to New Bern Post, which I can’t afford. Meanwhile, a reader asked me if I would be selling advertising or subscriptions. My answer about advertising is, no. I don’t think I have the audience to deliver value to an advertiser. As for subscriptions, I don’t want to restrict access to my site because I think it defeats the purpose of shining light on what local leaders are doing. I would not turn away contributions from people who value my work, or sponsorships from businesses who think what I am doing brings value to the community. I have already reached the point where I am turning away news tips and offers for help from other local journalists, because they would open a floodgate that would be hard to close. I have, however, partnered with another one-person local news site that specializes in community news and events (http://www.newbernnow.com), because I think our content is complementary. We run the other’s RSS feeds on our respective websites. If I have accomplished nothing else, I did this: the local paper has resumed coverage of local city meetings. I sat next to its reporter at Tuesday’s Board of Aldermen meeting. It delighted me to see the paper back where it belonged, and to spend time with a former colleague.